On January 15, 2018 the works on the square will begin. The restoration of this space is the flagship project of our mandate. The latest work on the site dates back to the early 1980s. 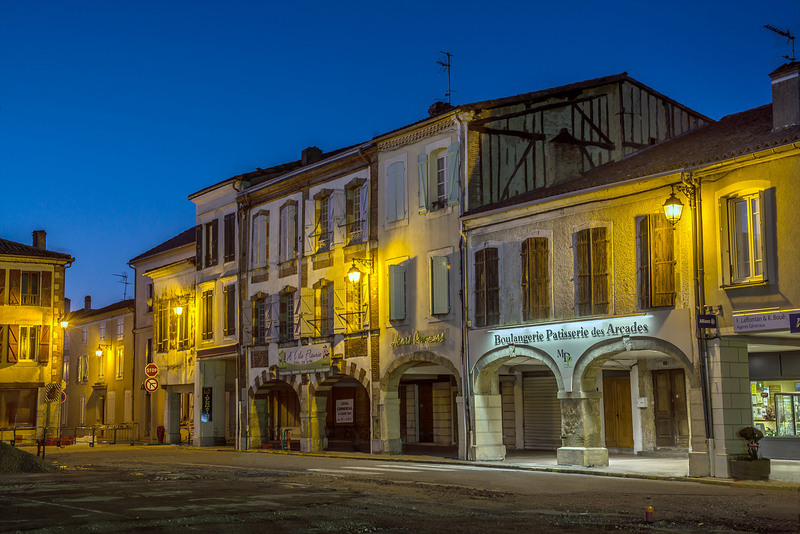 Our goal is to revitalize our town centre, the nerve centre of life in our Bastide. Markets, parties, gatherings of all kinds are organised in the square. More than 7,000 square meters will be developed. The municipal bulletin of 2017 put forward the axes that will develop once this renovation is completed. Tourism, hospitality, economic development, and heritage will all benefit from this work. A professional group of architects, Christophe Bouas and Fabienne Larcarde; a VRD engineer, Gérard Lalanne; and a landscaper, Delphine Lasserre were selected for the project management. The tender was launched and the company « Colas » won the contract. 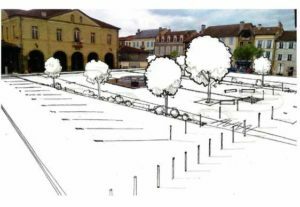 The work will last 6 months, and the square will be inaugurated for the start of the Tour de France departure in July. We now have the final cost of the transaction and can provide it to you. The municipality’s share is €301,093. This project has received the support of our partners; the amount of subsidies is 67%. For our village this is a first and never has an investment of our commune received such support. From Tuesday, January 23, 2018, the weekly market will be moved to in and around the poultry market. The work will be finished in June. We count on your understanding regarding the inconvenience.